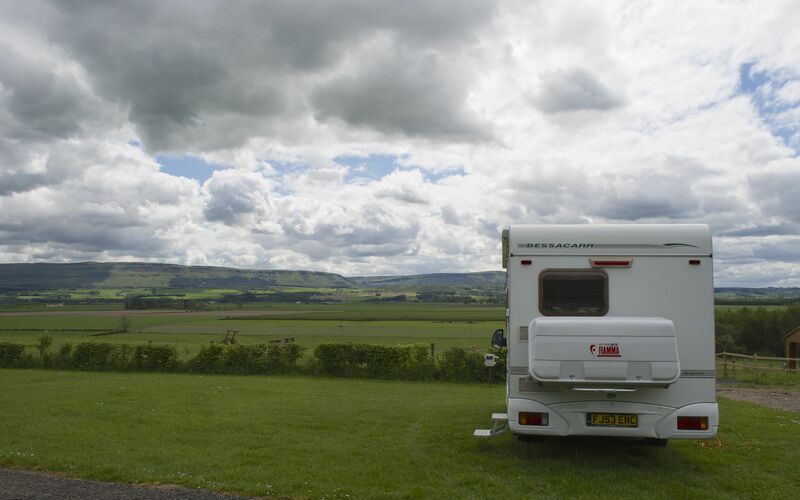 Seaview has been a success in every way – lovely pitch with excellent views and that oh-so-difficult-to-find at times, an internet connection with our 3 dongle. We spent a lazy morning and Peter made his fantastic cooked breakfast, complete with mushrooms and hash browns. I caught up with the blog and eventually we left just after 11am. Our goal today is our next campsite, Mains Farm at Thornhill, near Stirling. 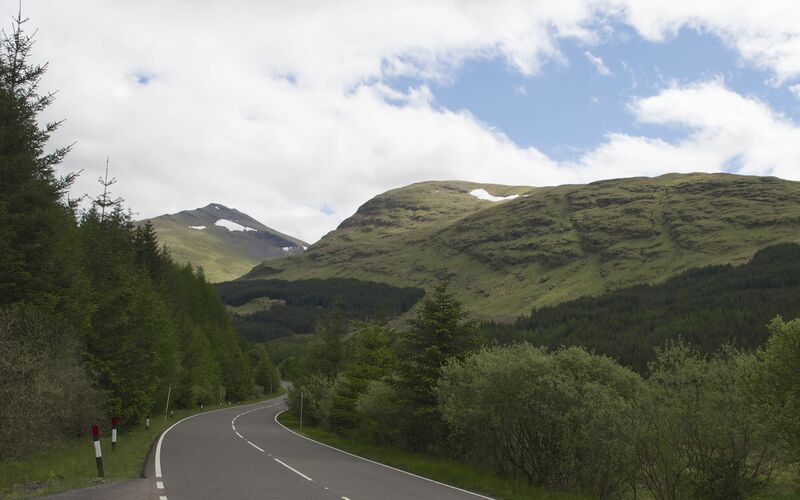 This will leave us with a short journey tomorrow, to Edinburgh and the Holiday Inn, where Vicki, my Australian cousin, has booked us in on my birthday. 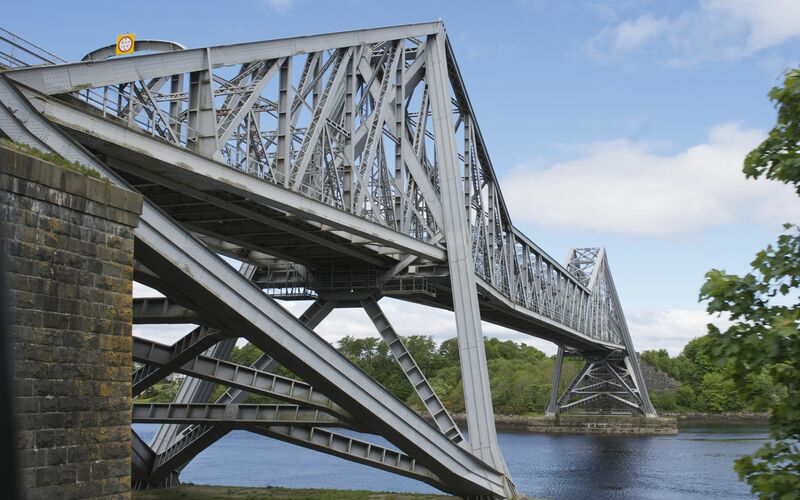 We went both over and under the Connell Bridge on the A85 towards Crianlarich, where we had had our home cooked hamburger in the station café nearly a fortnight ago. 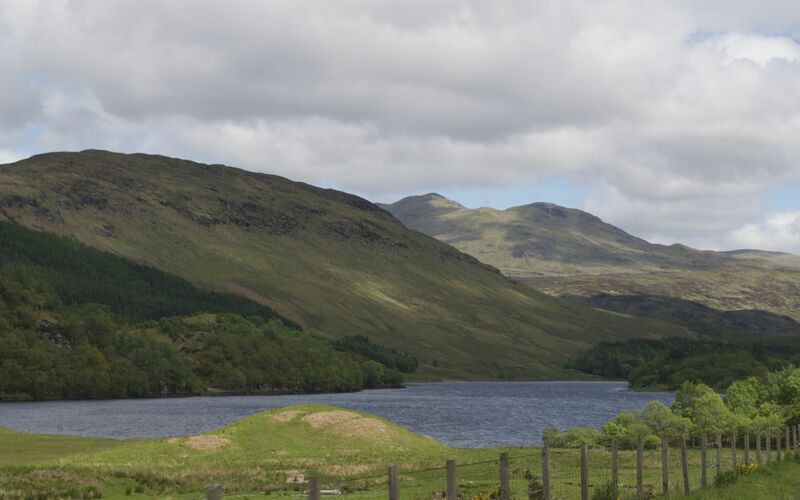 This is in the Loch Lomond and Trossachs Country Park and we are surrounded by mountains, some still with snow near their summits. When we reached Mains Farm at about 1.30pm there was no-one about – just a notice saying that they would be back at 3pm. There were a few statics and some wooden “wigwams”, which term I thought was decidedly misleading. More like sheds with a nissen hut shape. There were no motorhomes but we parked on the grass and plugged ourselves in to the electric. 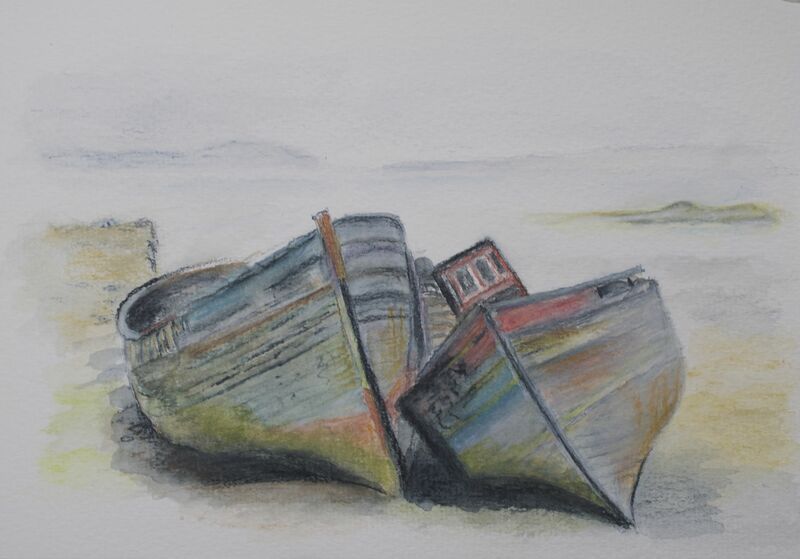 My 3 dongle didn’t work at all so I decided to paint a picture of the old abandoned boats at Salen on Mull. We discovered later, on registering our pitch, that we could use the campsite wifi. Not a brilliant signal though. All the action seems to be going on over the road where the reception is and a whole lot of “wigwams”. Our side of the road appears to be the poor relation in terms of facilities. Toilets are adequate but tired and there is no shower block. The view, however, is fine and far reaching. Expensive at £19 a night we think. The inadequate wifi became virtually non-existent in the evening so we weren’t able to access the blog at all. Hoping to hear from Vicki this evening, with a view to meeting up tomorrow. 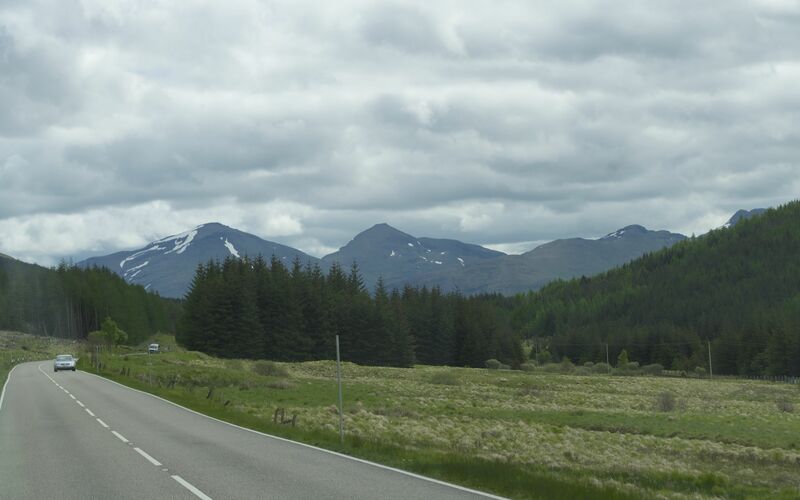 Stunning scenery again! Super watercolour again! Glad to see plenty of food references. It must be fantastic to seat down to one of Dad’s cooked breakfasts and enjoy the panorama. How come I didn’t get the art gene? How annoying!